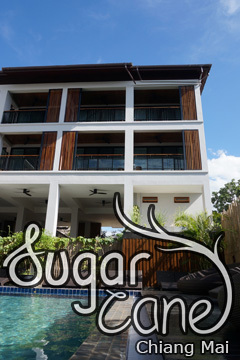 BED Phrasingh - Adult Only - Old City, Chiang Mai, Thailand - Great discounted rates! 9.2 out of 10 based on 861 verified user reviews via Agoda. Bed Phrasingh Hotel is conveniently located in the popular Old City area. Both business travelers and tourists can enjoy the hotel's facilities and services. Take advantage of the hotel's free Wi-Fi in all rooms, daily housekeeping, 24-hour front desk, facilities for disabled guests, luggage storage. Some of the well-appointed guestrooms feature television LCD plasma screen, locker, mirror, slippers, towels. The hotel's peaceful atmosphere extends to its recreational facilities which include outdoor pool. Bed Phrasingh Hotel combines warm hospitality with a lovely ambiance to make your stay in Chiang Mai unforgettable. BED Phrasingh - Adult Only - Chiang Mai classifies itself as a 3 star hotel.